Renault India launched the Nissan Micra’s cousin last year, and the hatch has impressed us with its subtle French styling and strong on road appeal. 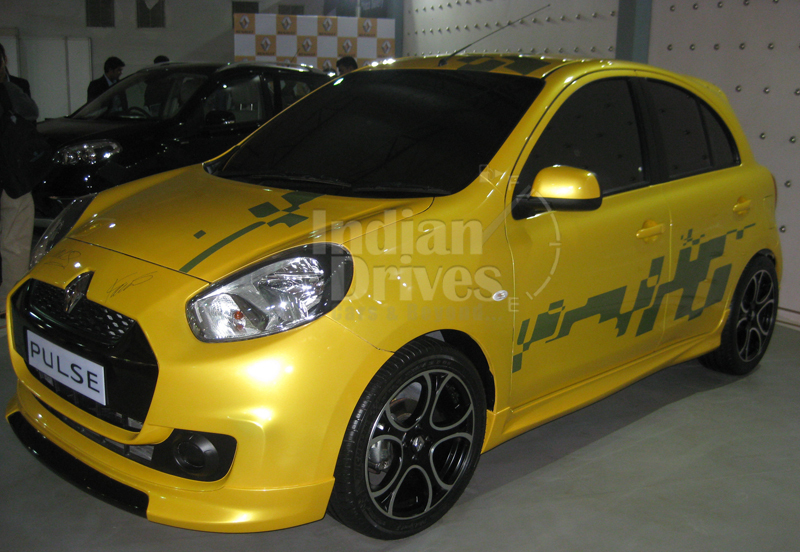 As this was the first hatch launched by the French carmaker in India, it gambled with the diesel variant only. After recently announcing a petrol variant in works, Renault takes the wraps off the new Renault Pulse petrol, starting at Rs 4.25 lacs. Though the petrol variant is launched more as presence markers, Renault will continue focusing on the mainstream diesel model. Powering the re-badged Micra is a 1.2-litre, three cylinder petrol engine found in the Micra that is good for 80 bhp peak power. This was an obvious pick, as the diesel variant too, was powered by the 1.5-litre DCi diesel engine of the Micra. Mated to the petrol motor is a 5-speed manual gearbox, and there have been reports of an automatic version to follow. Besides the petrol and diesel power plants, the Renault hatch also shares the platform with the Japanese hatch at Nissan’s Oragadam facility near Chennai. The entry-level Renault Pulse RxE features driver airbag, air conditioning and power steering as standard, while the mid-level RxL comes with additional features like power windows and music system, and the top-of-the-range RxZ gets additional ABS, dual airbags, automatic climate control, push button start and automatically retracting electric wing mirrors as key features. 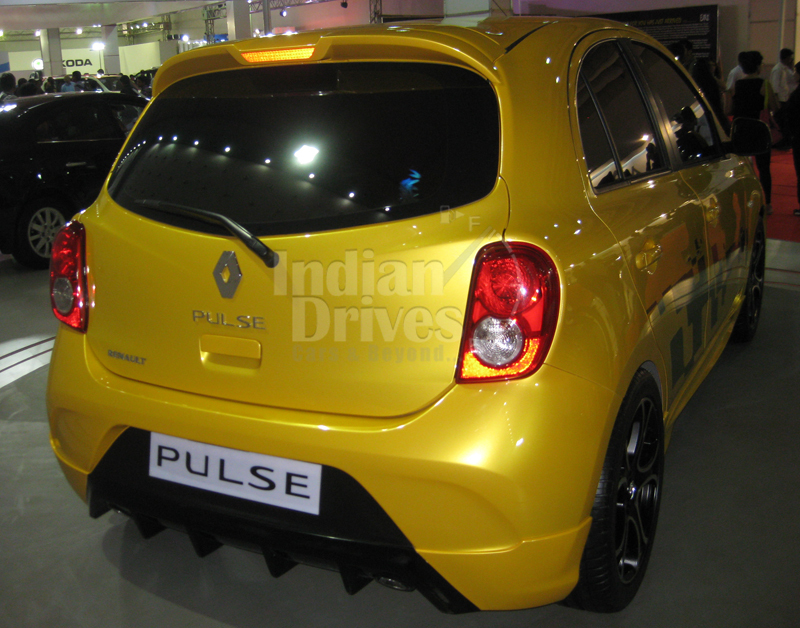 As diesel is the preferred choice of Indian customers, Renault is not hoping high numbers of Pulse to sell across the country. The Renault Pulse is available across all dealers across the country, but the service of Renault network might disappoint the customers as it does not have a large network of service centers yet. Moreover, the aggressive pricing of the Pulse might hinder its sales as the Japanese comes with a more competitive price tag. We recently reported about Renault coming up with a re-badged Nissan Sunny, dubbed Scala. The Sunny sedan is a very successful car in the C-segment owing to its reasonable price tag, practical packaging and an impressive diesel motor. The Scala diesel launch is just around the corner. Watch this space for more.